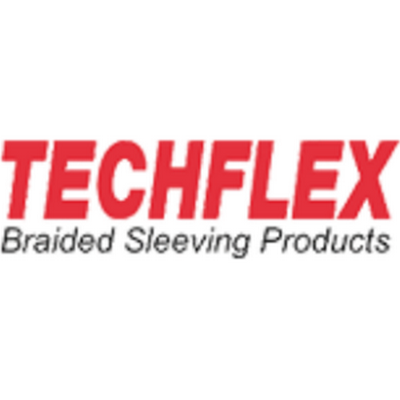 Since 1965, Techflex has been engineering and manufacturing a wide range of braided sleeving products for a variety of industries from biomedical and aerospace to wire, hose and cable bundling protection solutions for high performance automotive enthusiasts. 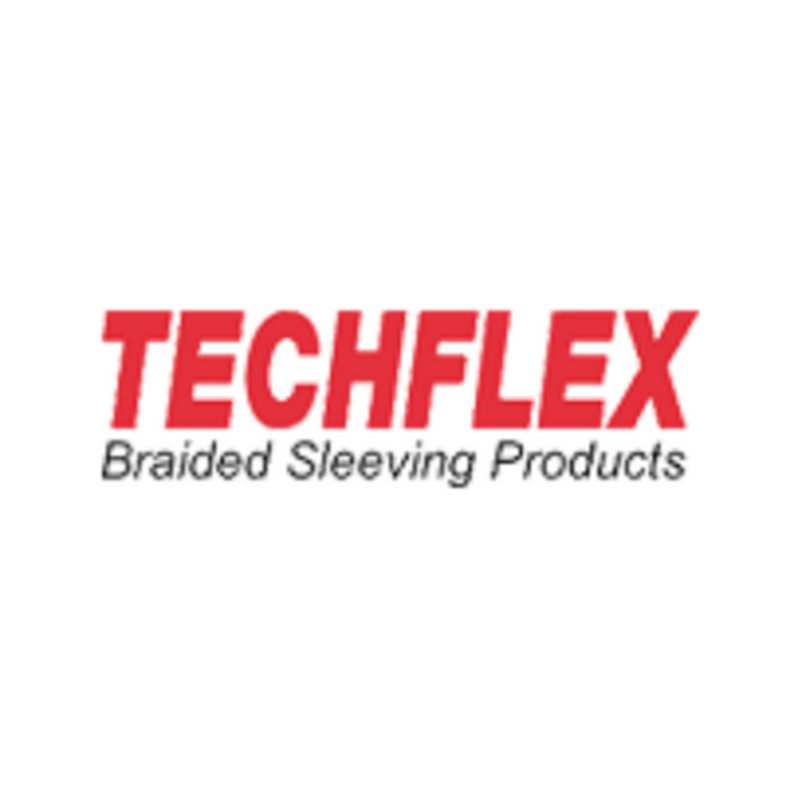 Our experience with this broad market, as well as our wide selection of general purpose and high-tech specialty products, has made Techflex the first name in sleeving solutions. 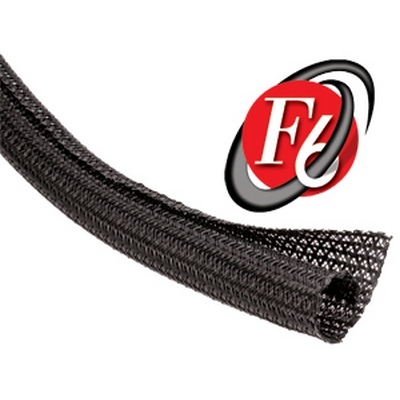 F6's unique split, semi-rigid braided construction makes it the ideal solution for situations where ease of installation is of primary importance. The lateral split allows the tube to open up to accommodate a wide variety of bundling requirements, and the semi-rigid braid configuration simply closes around the entire installation without the need for any additional fasteners (velcro, tape, etc.) The 10 mil PET braid is lightweight, quiet and flexible. The 25% edge overlap (at nominal diameter) allows coverage around inline plugs, connectors and splices. F6 will bend to a tight radius without distorting or splitting open and, unlike fullrigid tubing, will not impair or affect the flexibility of harnesses. 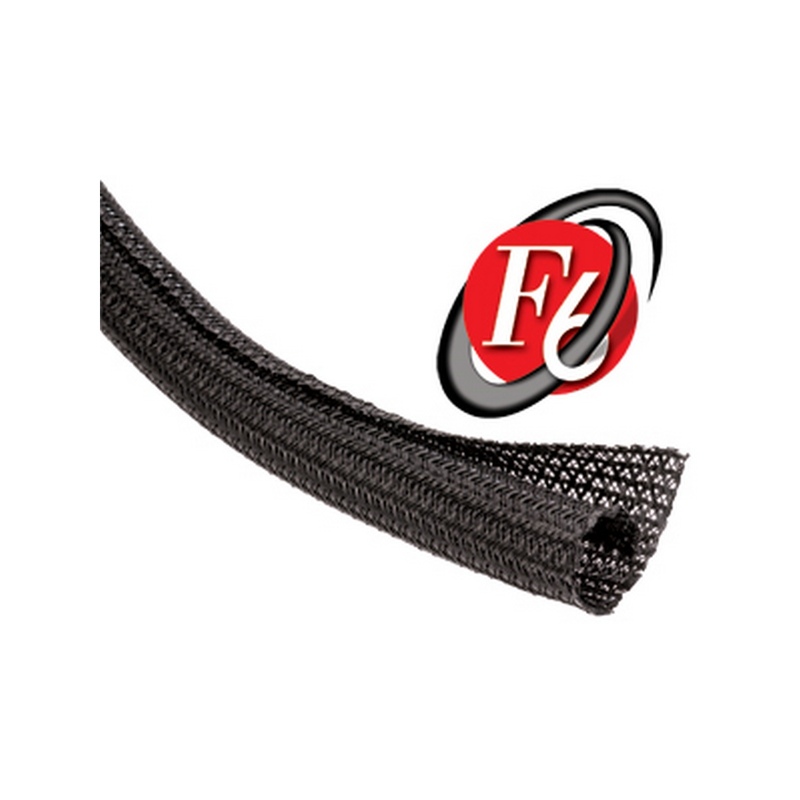 Techflex F6N0.50BK-75 1/2 "Black 75' Self-Wrapping Braided Sleeving. 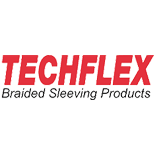 The Techflex F6 Semi-Rigid Braided Cable Sleeve is a low cost simple cable management solution that is both attractive and easy to use. The braided, expandable sleeving is an exceptionally durable, highly reliable solution ideal for use in the organization, wrap and protection of a wide assortment of wires and cables in a vast array of applications. 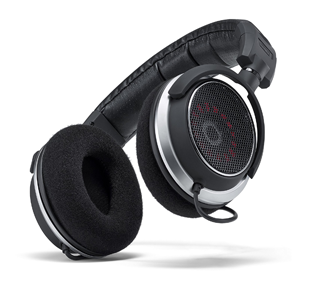 It is manufactured with tightly braided polyethylene terepthalate filaments into a robust expandable braided sleeve. 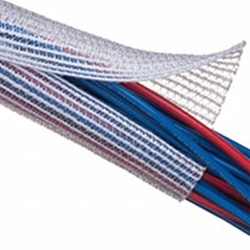 Typical applications for this lightweight product is to jacket and protect wire and cable assemblies, wire harnesses, as well as a broad range of other commonly used industrial hoses. It can be effectively used in even the most extreme of environments and is capable of easily withstanding temperatures of up to 257° F!